Posted on 28/04/2013 by Jayson	in Markets Comments and tagged Dow Jones Index, Hang Seng Index, Straits Times Index. Dow Jones – The index has tried to climb from its older support of 14,450 – 14,500. 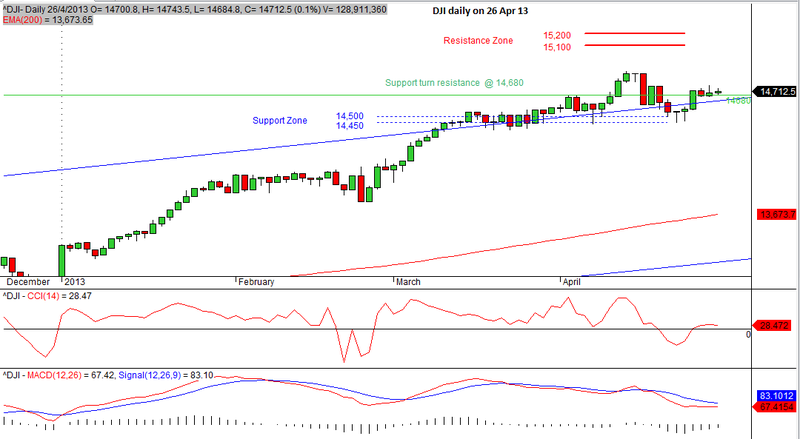 However, it has met with its previous support turn resistance at 14,680. Currently, the index has been ‘trapped’ between these zones. Until the index break free of 14,680, the next strong resistance is at 15,100 to 15,200. 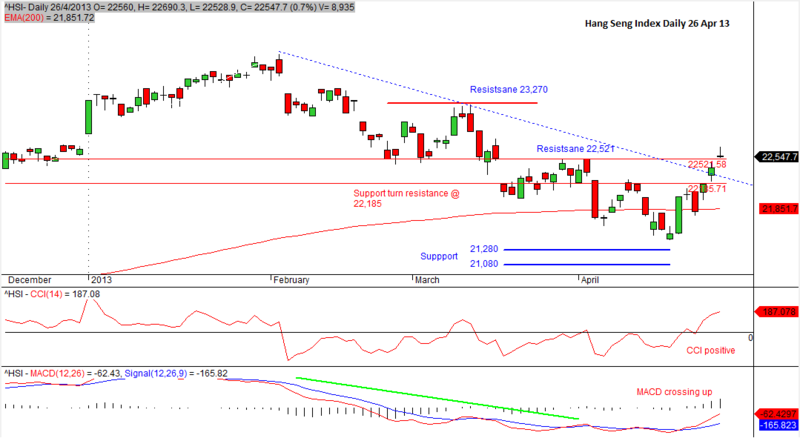 HSI – The Hang Seng Index has cleared its resistance of 22,521 last Friday. It has also broken the down sloping resistance trend line. Last Friday candlestick is somewhat doji. 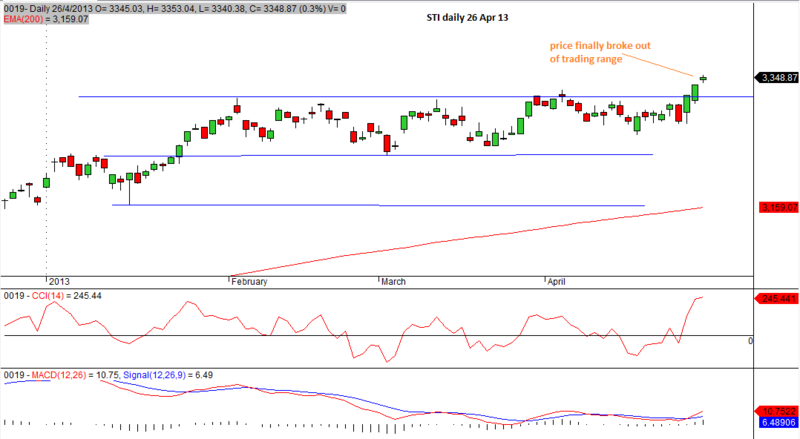 We need to observe for 1-2 more days to ensure that it is not a false breakout. If the index can remain above these levels, then we can expect the index to make its way to recovery. Trader may enter once you can establish that it is not a false breakout, or a safer way is wait for a higher low to form. STI – The Straits Times Index finally broke out of its trading range with last Thurs/ Fri index closing above its resistance line. It has also broken its previous high of 3,331 clearly. As accurately pointed out last week, the STI has gathered enough momentum and broke out. Let’s observe the STI’s performance for a couple of days more before commenting further.